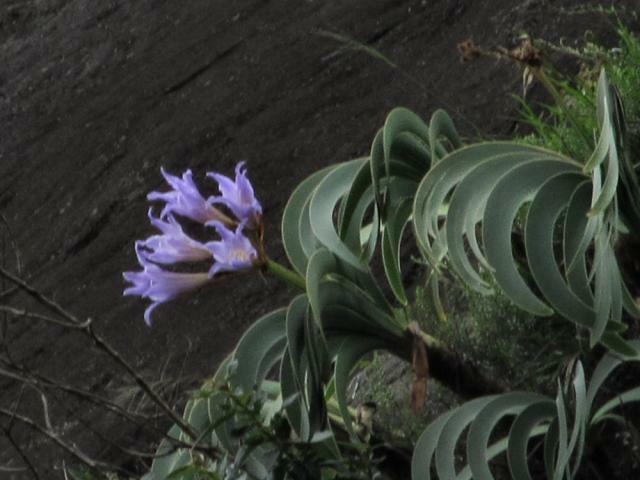 Worsleya is a member of the Amaryllidaceae family with a single evergreen bulbous species, Worsleya procera syn. 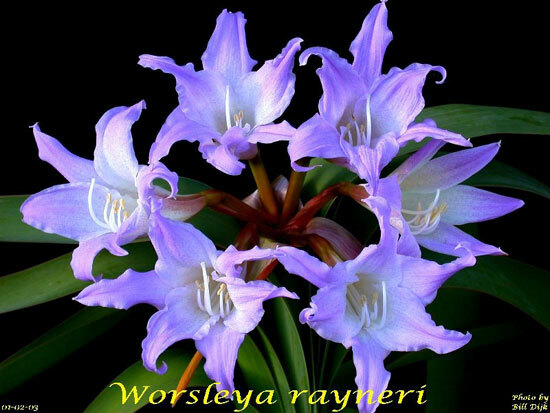 Worsleya rayneri ( Empress of Brazil). Both names are still in use, although the current accepted name is W. procera. 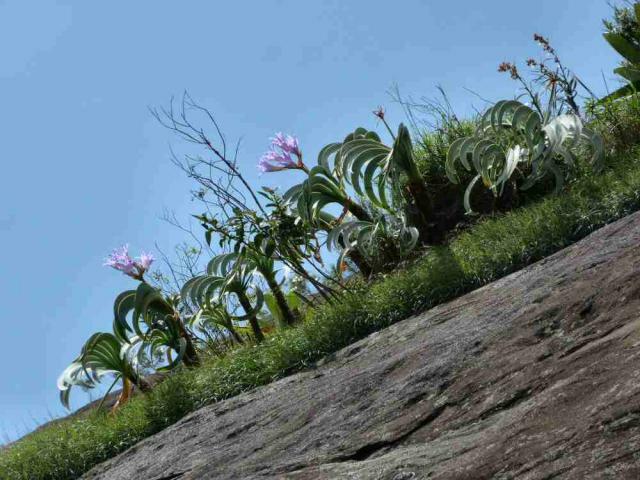 To learn more about the controversy in the naming of this plant, please consult the following note supplied by Lee Poulsen to the pbs list from David Mabberley who has restored the name Worsleya procera to this plant that has been widely known as Worsleya rayneri. For another take on the correct name for this plant and how to tell it apart from Hippeastrum Jim Waddick provided a summary from Veronica Read's book on Hippeastrum. Visit the Worsleya Group on Yahoo for more information about this wonderful species. 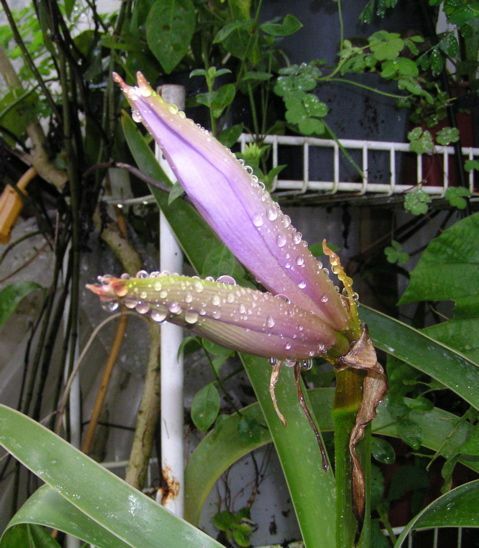 The genus is named after Arthington Worsley (1861-1943), a British plantsman and engineer, who observed it in the wild and was the first to bring it into bloom in captivity. 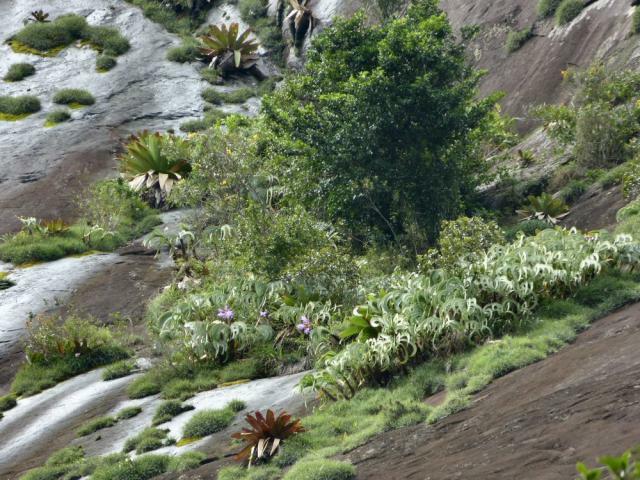 Worsleya procera, syn. 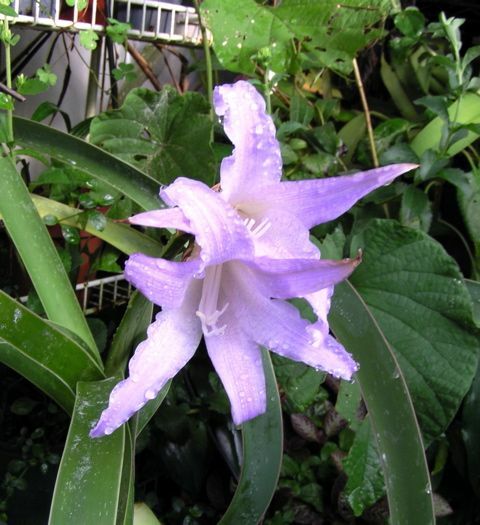 W. rayneri, is one of the most sought after and rarest of the bulb world. It is native to Brazil. 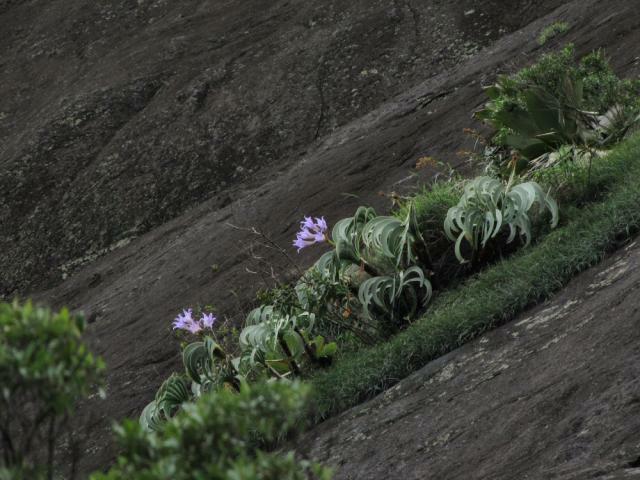 In its native habitat these plants grow on steep granite cliffs/well drained area, fully exposed to wind, rain and sunshine, constantly subjected to mist from waterfalls. 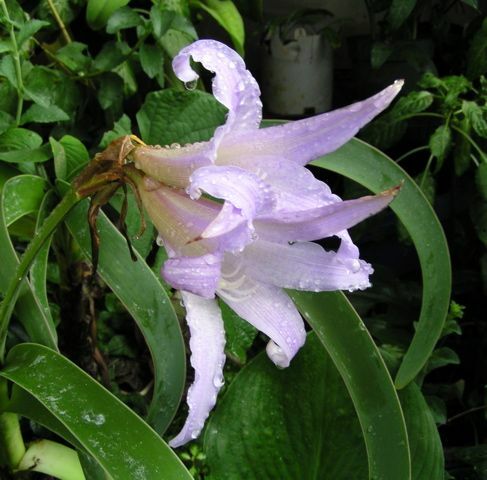 It produces large clusters of gorgeous lilac-blue flowers, speckled mauve within, blooming in mid-summer on stems up to 1.5 meters tall. Plants are not truly self-fertile. Seedlings produced from selfing do not survive very long . Good seeds will last about 9-10 months (Terry Hatch). It is very exact in its requirements, including potting medium, temperature, sunlight and water. A position in bright light, not necessary full sun, but morning sun, would suit it best (Bill Dijk). 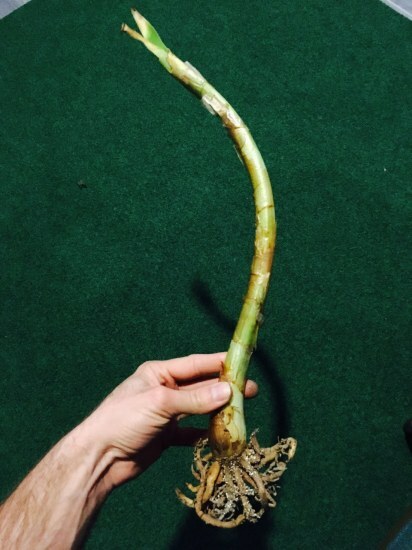 Various growers has success with different growing media, but this is dependent on where the bulb is grown. In the US, one of the best media is pumice. A detailed, illustrated article on how to grow W. procera in pure pumice can be found here. It was written by Dr. Paul Resslar of Wesleyan College. Lee Poulsen posted to the PBS list a description of the climate where this plant grows; see also Organ Mountains Climate Graphs. To grow from seeds, either float the seeds in water or sow them directly under a thin layer of the medium. Daryl Geoghegan uses 80% spent orchid bark (1/2" size) and 20% white sand. He leaves the plant in a breezy location and waters them daily. Germination takes about 3-10 weeks at 18-24 °C. Seedlings and adult bulbs do not go through a dormancy period and will continuously grow throughout the year. Use very fibrous soil, slightly acidic. Water with rain water only. Allow the pots to dry out thoroughly between each watering (Thompson and Morgan catalog). Photo #1 was taken by Bill Dijk and photos #2-4 were taken by Lee Poulsen of a clone which was grown in the mountains of Veracruz, Mexico. Lee's photos were taken in September 2004. Photo 5 of a bulb by Pontus Wallstén. 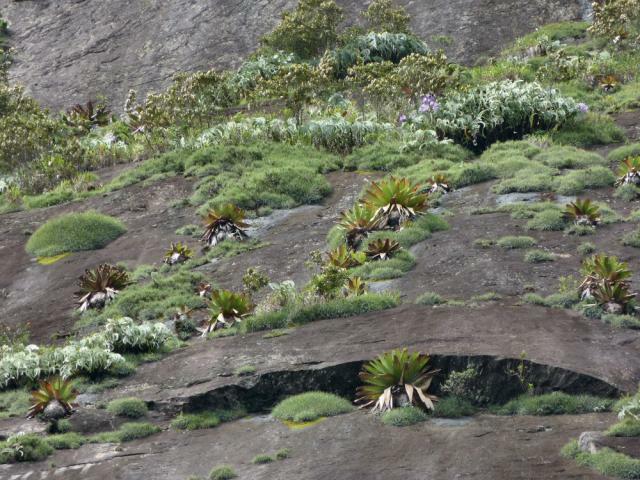 Photos #1-3 were taken in situ by Nicolás Garcia on steep granitic morros that surround Petropolis, Rio de Janeiro, Brazil. Photos #4, 5 by Alan Meerow at the same location.